There are two bonus features to enjoy! 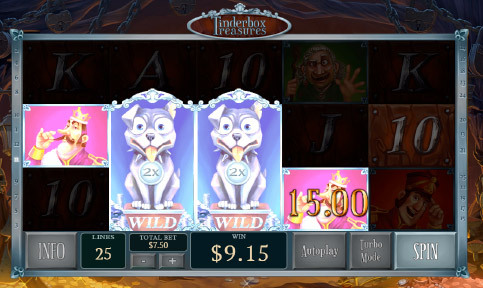 The dog wild re-spins as well as a free spins feature with stacked wild symbols and wild multipliers of up to 5X. Dog Wild-re-spin features that issues one re-spin with 2X Silver wilds after each base game win. 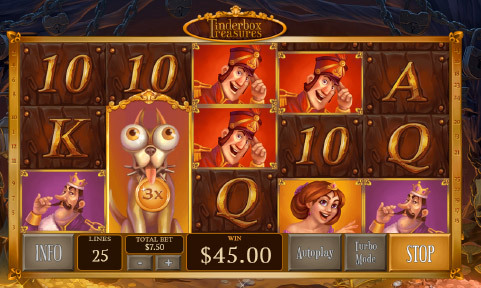 10 FREE GAMES AT 3X TO 5X WINNINGS! 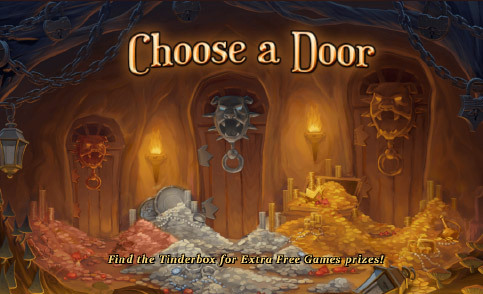 Free Game feature that issues 10 free games with the possibility to earn 3X to 5X winnings. Plus, as you play and collect additional special symbols, you are issued addition 3X Dog Wild free spins! Play it at Fly Casino today! New Game Bonus! On Sunday from 00:00GMT until 23:59 GMT, all members on their first deposit of just $/£/€30 or more will receive a 100% bonus up to 100.00. 133% Play Day! From 00:00GMT until 23:59 GMT, all members on their deposit of $/£/€30 or more will receive a 133% bonus up to $/£/€133.00. $300 BIG TUESDAY! From 00:00GMT until 23:59 GMT, all members on their deposit of $/£/€50 or more will receive a 150% bonus up to $300.00 bonus.